It had been like a mouth that hadn’t seen a dentist for too long. Rotten buildings had been yanked out, old streets torn up, squares ripped out, centuries of plaque scraped off, facades drilled out and filled with a pristine amalgam of concrete and tile, gaps plugged with offices and shopping centres and apartment blocks. Moles had tunneled out new stretches of Metro and a brand-new intestine of cabling had been fed into the root canals of the city. We wired in new roads, built a new bridge, extended the airport. Before leaving this wonderful novel, I want to mention an incident that transpires between Coelho and his younger partner, one that in retrospect carries resonance throughout this and Wilson's later novels. Coelho becomes enraged when his associate makes an aggressive remark against Coelho’s deceased father, launching him into a physical tussle, and prompting him to later muse about “the English phrase ‘losing it.’” Not ‘losing it’ was what kept people human. 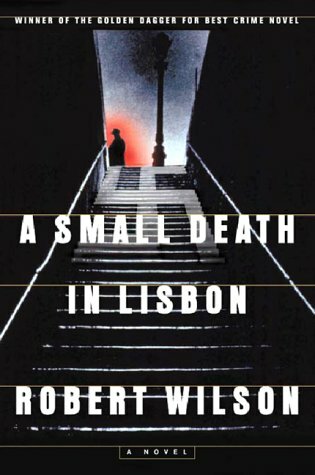 When we lose it, we spiral downward into a cycle of violence and revenge, a dangerous pattern that Wilson demonstrates repeatedly in A Small Death in Lisbon. 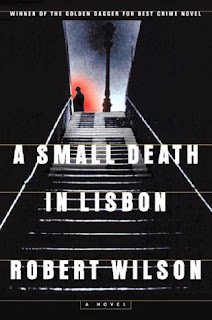 Wilson’s other standalone novel is a spy thriller, The Company of Strangers, also largely set in Portugal during the latter part of World War II, later in East Germany during the Cold War and a brief epilogue set in England at the dawn of the twenty-first century. Karl Voss, disillusioned by Nazi intrigue and murder, has come from Berlin on a clandestine mission to negotiate a separate peace with the Allies. British intelligence has sent Andrea Aspinall, a mathematical wunderkind with fluent Portuguese, to extract atomic secrets from German officials. They fall in love but are separated for years, each believing the other is dead. It is in Lisbon, the spy capital of the world during the war, that relationships are formed with other spies that shadow them for the rest of their lives. Although not as ambitious as A Small Death, the aptly-titled Company of Strangers remains a compelling read, a novel stocked with believable characters and most importantly, laser-like insight into the cost of working in the intelligence services. 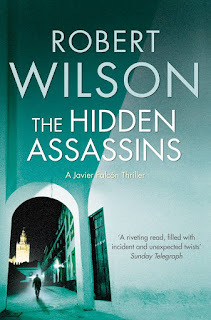 My first encounter with Wilson occurred about six years ago when I happened to receive a copy of The Hidden Assassins, a police procedural featuring Inspector Javier Falcón, a Seville homicide investigator, that was inspired in part by the 2004 terrorist attack on commuter trains at the height of rush hour. The novel begins with the bombing of an apartment block and mosque, and suspicion immediately falls on the Moroccan Arab population living in and around Seville. But the appearance of an Islamist attack may not necessarily be the reality as an extreme right-wing political party has its own sinister agenda. When I finished reading this gripping novel, I too wondered why I had not heard about Wilson. It turns out that Assassins is the third novel in a quartet. I had to read them all and for the purpose of this review I re-read them. Throughout this quartet, Wilson explores a vast array of political and social issues that disfigure the region: the drug trade, pedophilia, the protection of powerful figures who years before were Pinochet torturers – hence the cryptic references to 9/11 in 1973 the date when the Allende regime became the victim of a violent coup in Chile – the corruption of the construction industry by the murderous Russian mafia, and terrorism. 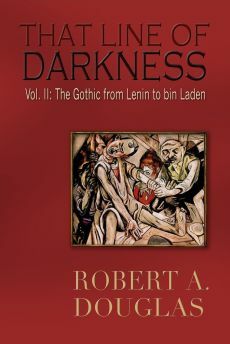 These are dark subjects that entail plenty of blood and violence without the noirish humour that distinguished his earlier Medway series. But as interesting and informative as the exploration of these subjects are, what I found most compelling about this series is Wilson’s psychological insights. 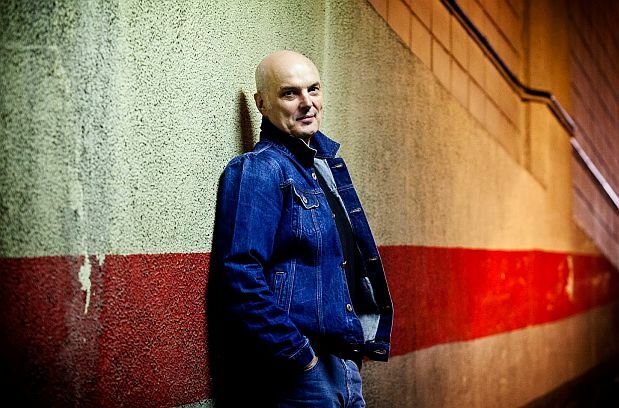 Over the quartet, Falcón undergoes a major transformation in his character from being a cerebral, aloof police officer to becoming an empathetic and impassioned one. What precipitates this change are shattering developments that occur in the opening of The Blind Man of Seville with Falcón’s discoveries of his father’s journals revealing a deeply troubled man who fought for Franco, and a criminal’s revelations of connections between the murdered man and Falcón’s own deceased father. Between the end of that novel and the beginning of The Silent and the Damned (also known as The Vanished Hands), Falcón experiences a breakdown. In The Silent, we experience not only his pain but the women in his life: his ex-wife, Inés, a capable lawyer whose quest to hang on to her current marriage to an ambitious, philandering and abusive judge takes a tragic turn, and his one-time girlfriend, Consuelo, who reluctantly seeks therapy for anxiety attacks that expose uncomfortable revelations about her traumatic early life. Indeed, a blind gifted therapist features as an important minor character in this series. 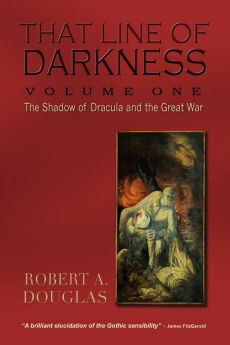 because the author provides sufficient backstory to follow his complex plotting and characters – though a reader may have to work at it for a hundred pages to keep the plotlines and characters straight. The bombing plot fromSeville is finally resolved and the outcome is entirely plausible. 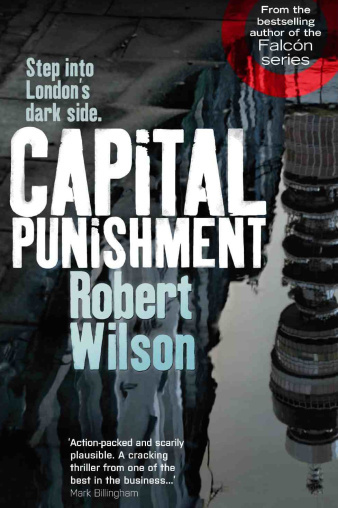 Wilson’s insights into the destructive effects of corruption make perfect sense: when an individual accepts drugs, money or favours from, for example, the Russian mafia, the individual loses complete control over his life as he has no choice but to follow its orders. I think that Wilson is spot-on when he shows that personal family dynamics are a more powerful motive for becoming an Islamist than ideology. Most importantly, Falcón comes to realize that his police and occasional security work threatens his personal life when the young son of Consuelo is kidnapped. He has to make an important career decision. At the same time as Boxer confronts personal issues, his assignment in Punishment is to rescue the twenty-five year old daughter, Alyshia, of the billionaire tycoon, Frank D'Cruz, a former Bollywood star whose coldblooded business methods have made him countless enemies. During Alyshia’s time in Mumbai, where a result of her relationships with certain individuals, she seemed changed after she returned to England altering her relationship with her British mother, Isabel, the ex-wife of D’Cruz. Wilson is very good at building suspense as to what did happen to Alyshia in Mumbai and whether those experiences that may have contributed to her kidnapping. A similar scenario is suggested in You Will Never Find Me, when Boxer’s own daughter runs away from home and disappears shortly after he arrived in Madrid, and he risks his life to rescue her. Wilson complicates his narrative with another plotline that has Mercy investigating another kidnapping, the son of a Russian businessman who may have connections to Russia’s secret intelligence agency, the FSB. Despite the bloody body count, we know that Boxer will somehow rescue Amy and survive himself. Only after that near tragedy is it even possible to rebuild a relationship with her parents, one of the plotlines of Stealing People. But in his desperate efforts to find Amy, he commits an act of violence that continues to haunt him. What sustains him is his new relationship with his daughter and his love for Isabel, his former client. In Stealing People, a mysterious gang with stunning efficiency kidnap six children, each the child of one of the world’s über-rich people. The kidnappers want twenty-five million euros per captive for “expenses,” not for ransom. Are they really terrorists? They do make impossible demands and threaten to kill their hostages one by one but a reader may suspect this is merely a publicity stunt to make a political point since the perpetrators are primarily former military soldiers who served in Afghanistan and Iraq. Governments, armies and the police are drawn into the investigation, but there is little doubt for the reader that Boxer is in charge. As the novel plays out, I count at least three unexpected jolts that occur that I did not see coming. A hint: all three possess a private dimension. Have I got your attention?